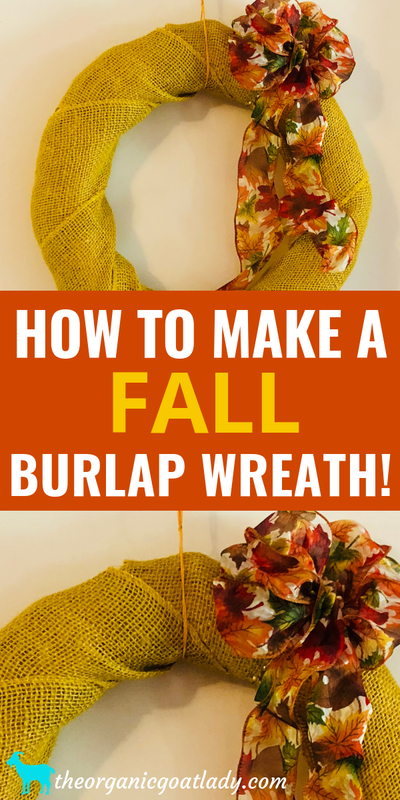 Are you looking for a great fall burlap wreath to make? Are you looking for something that will not only look great in your home but that is easy to make? 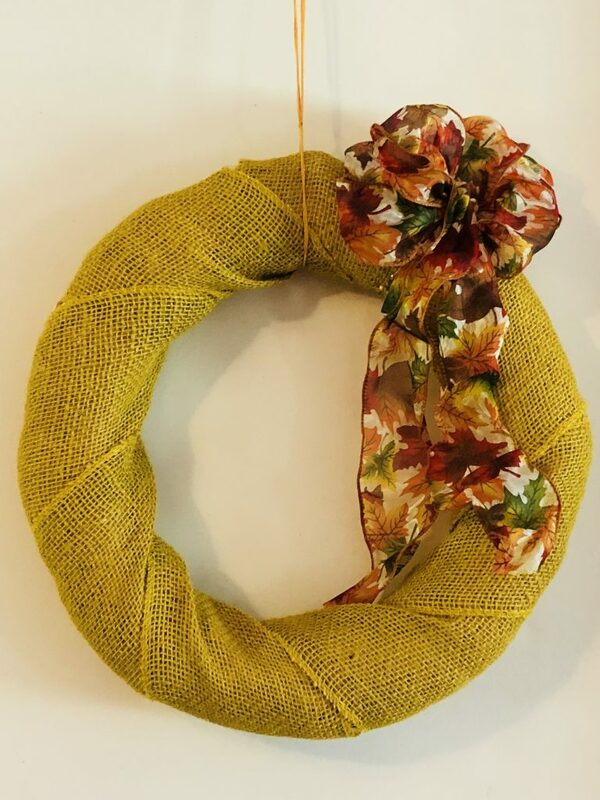 Then this fall burlap wreath is exactly what you need! One of my favorite fall decorations is this fall burlap wreath! It’s a great interior wreath and is soooo easy to make! The awesome part about this wreath is that it requires no hot glue! No glue, no sewing, nothing complicated! And, if you ever decide to make something different, you can easily take it apart and start over! Ok, first you need to wrap your burlap around the straw wreath form. The size burlap listed above is ideal for this and doesn’t bunch as you wrap. Place the start of the burlap on the back of the top right corner of the form and secure it by pushing a quilting pin through the burlap and into the form. If you need to use a few to secure it well then do that. Next start wrapping so that the burlap slightly overlaps itself. You don’t want to see the form beneath. Angle the burlap so that it can lay as flat as possible on the form. Once you’ve reached where you started cut the burlap and secure the end again with the quilting pins. Next, tie your fall bow onto the wreath in the top right corner to cover the yellow quilting pins. My bow came with a tie attached to it, but if the bow you choose doesn’t just use a piece of the raffia to tie it on. And that’s it! 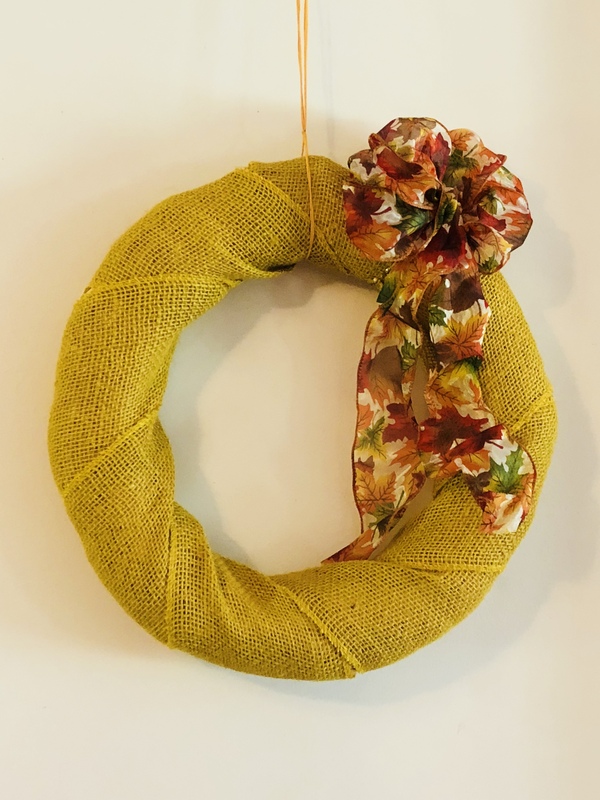 You now have a beautiful fall burlap wreath! Wasn’t that easy? !